Hello! 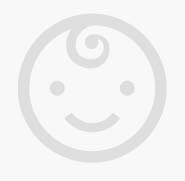 We are looking for an experiended nanny to take care of our newborn son while we are at work. We both work fulltime jobs with unpredictable schedules that change weekly. The hours of the job will likely cover times our schedules do not overlap but occasionally, we might need up to 8 hrs of help. The hours will be Monday-Saturday; Saturdays will only be 1-2 times per month from 8:30-3:30. We are looking for someone who has experience with infants, who is flexible, and who loves dogs (we have one medium size dog). We are excited to meet you!